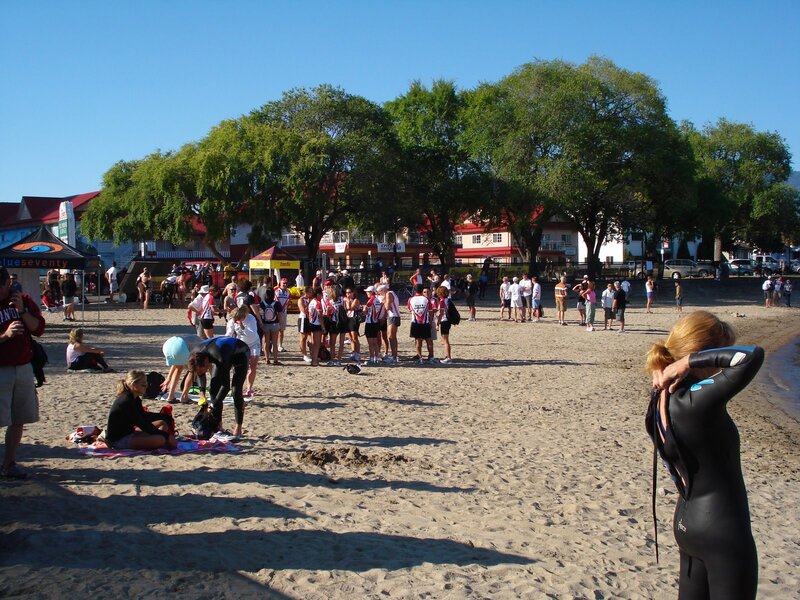 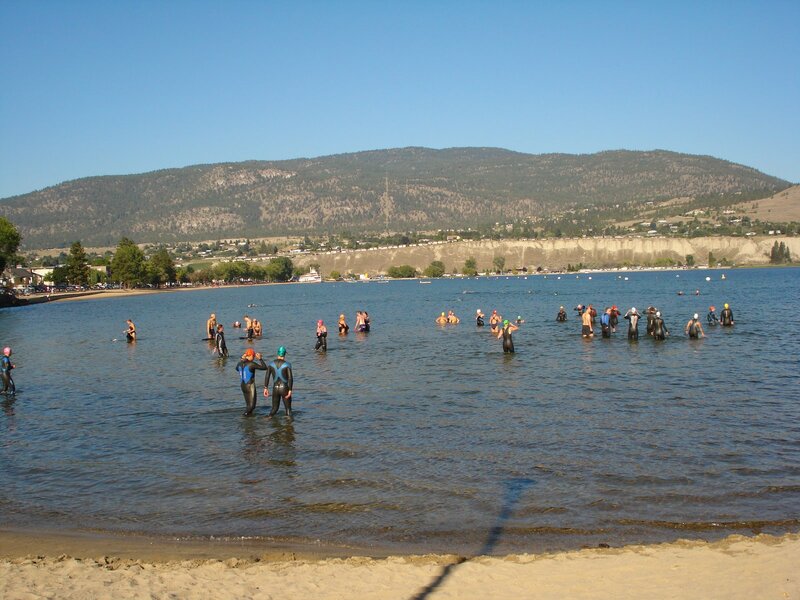 Open water swim clinic. 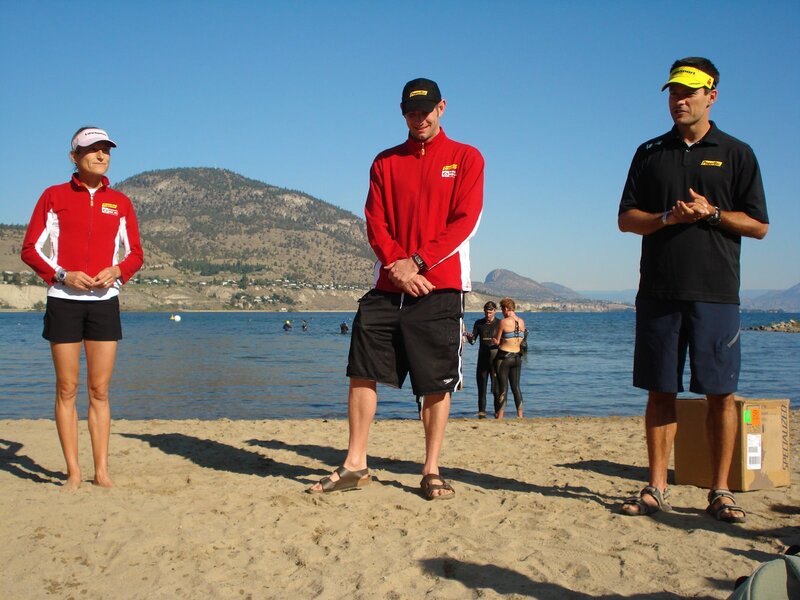 The guy in the middle is trying to qualify for Beijing in the 10K open water, which he now swims in 1H51. Barf.